From staying hydrated to simple hellos, your flight can be infinitely more comfortable with these tips. ith recycled air, squished seating, and limited space, flying can sometimes be overwhelming and not so glamorous which is so not ideal if you're on your way to your honeymoon or vacay... but it doesn't always have to be! 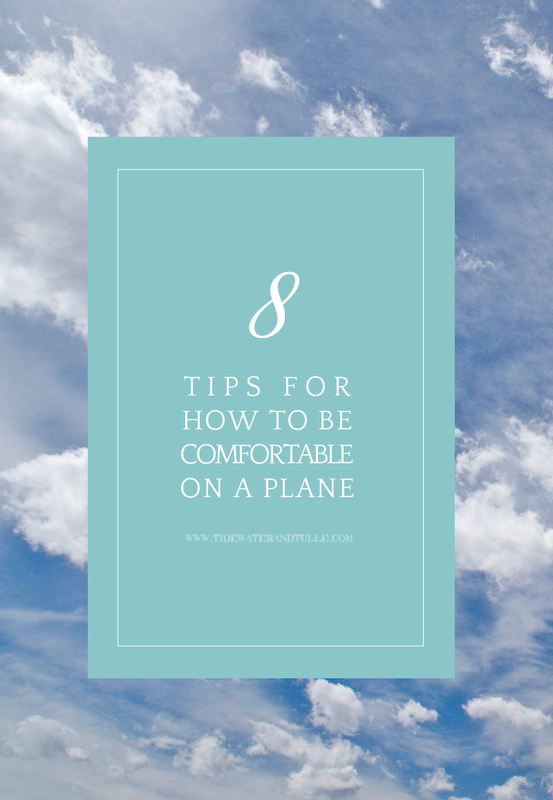 Channel your inner happy place, be prepared, and literally sit back and enjoy the ride with these eight tips for a comfy flight no matter if it's an hour or five hours long. 1. Embrace the stretchy pants or the loose and baggy. I really don't know what took me so long to accept the wonderfulness that are leggings. I'll never wear jeans or any pants with buttons on a plane ever again! My body shape doesn't really allow for the chic loose and flowy pants, but if yours does, absolutely embrace them! Some women claim that their feet and hands swell, but I feel like my whole body bloats under the plane's air pressure. With a bit of elastic, you'll find a much happier state of mind, especially when the rigid waistline of your denim isn't cramming itself into your hips. 2. Pre-pack your cords and chargers in one place. Fact: Knick knack pouches are glorious. I'm known to tote quite a few of them in my larger bags when traveling just to keep organization less fussy around my flight seat buddies, and cords and chargers are most important. Gather up all those twisted cords so they're easier to find and don't have you digging in your bag as you accidentally elbow your neighbor. I recommend this beautiful leather cord organizer from Cord and Satchel via Etsy; small, tidy, and chic, I carry this everywhere! 3. Munch on home-brought snacks. Not only more affordable while traveling, creature comfort food from home can give a sense of familiarity and help ease any nervousness... and if you have any food allergies or health issues like I do, this will help you prevent any unnecessary reactions. You know exactly what you're getting when you know what you're eating! It's a guarantee that temperatures will go from hot to cold extremes in a matter of minutes and hours. 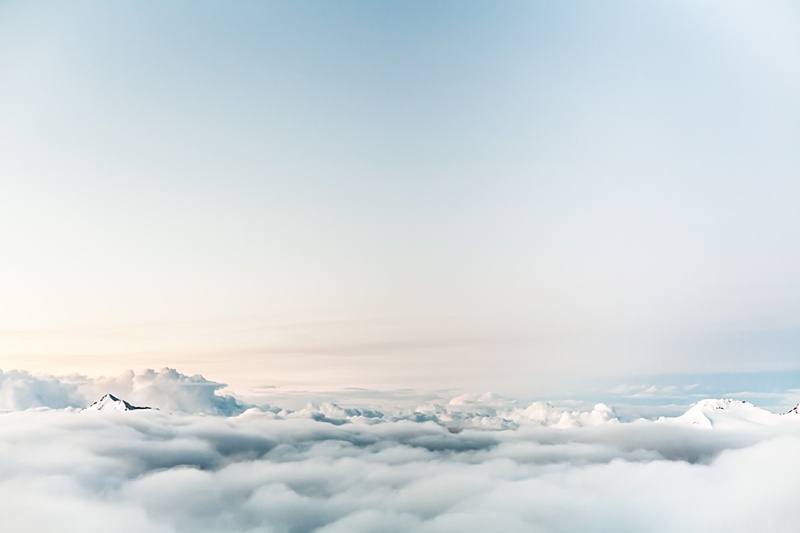 Whether you're running through the airport to catch your connecting flight or really high up there altitude-wise, wearing multiple layers will be your saving grace for comfort. Consider scarves, light jackets, and tank tops for your wardrobe, and if you have room, pack a small carry-on blanket. And if you don't have room, choose a scarf that can double up as a blanket! You'll stay warmer/cooler when you need to and healthier when you have to. 5. BYOE: Bring your own entertainment. Whether you're into books, music, or games, keep yourself occupied with the things you love, especially if you're on an extended flight. My Kindle is always packed with at least three different books from my Goodreads list right before a trip along with my sleeping eye mask. Because my three favorite forms of entertainment when the business world can't get a hold of me: sleep, reading, and more sleep. 6. Avoid caffeine and alcohol, and camel up with water. Translation from my former second grade students in my past teacher life: hand sanitizer. And it is something that should be applied generously. To be comfortable, you've got to stay healthy. It's no secret that airports are festering with germs, germs, and more germs. Because I live right around the corner from an outlet mall, I may or may not have a ridiculous amount of travel-sized Crabtree and Evelyn's Citron hand sanitizer in my bathroom cabinet. Hey, no judgment! It makes your hands clean, soft, and nice smelling! But best of all, your plane seat buddy won't wrinkle her nose at it! If there's a full flight, sometimes a simple old-fashioned hello can make your flight lightyears more comfortable. In this modern day of traveling and world happenings, there is unfortunately more anxiety humming beneath the faces we show to people. For you fellow introverts out there like I am, the idea of approaching a stranger in conversation might cause even more anxiety, but there's no need to tell her/him your whole life's story! Just a friendly salutation and solidarity that you've also got a destination to get to.